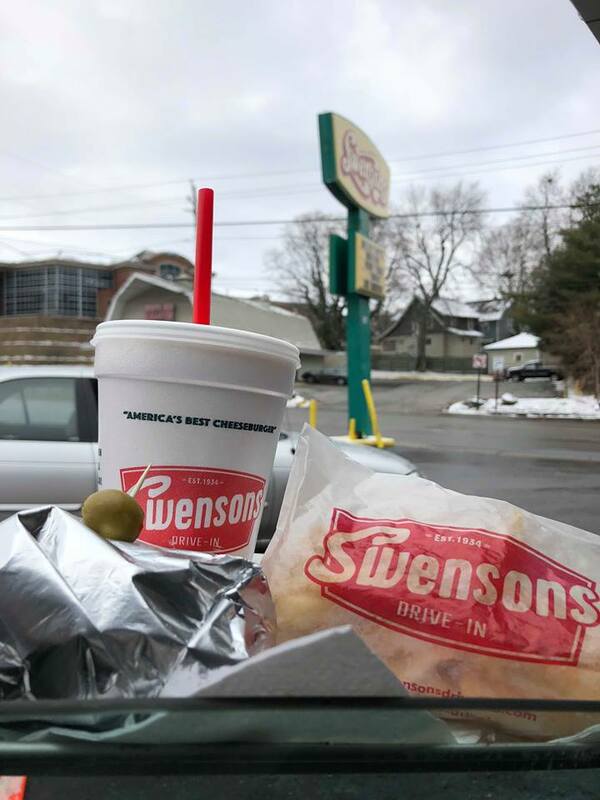 If you’re into Ohio Nostalgia, Swensons Drive-In should certainly be on the top of your list. Today I joined fellow Northeast Ohio Bloggers in a collective for National Comfort Food Day. 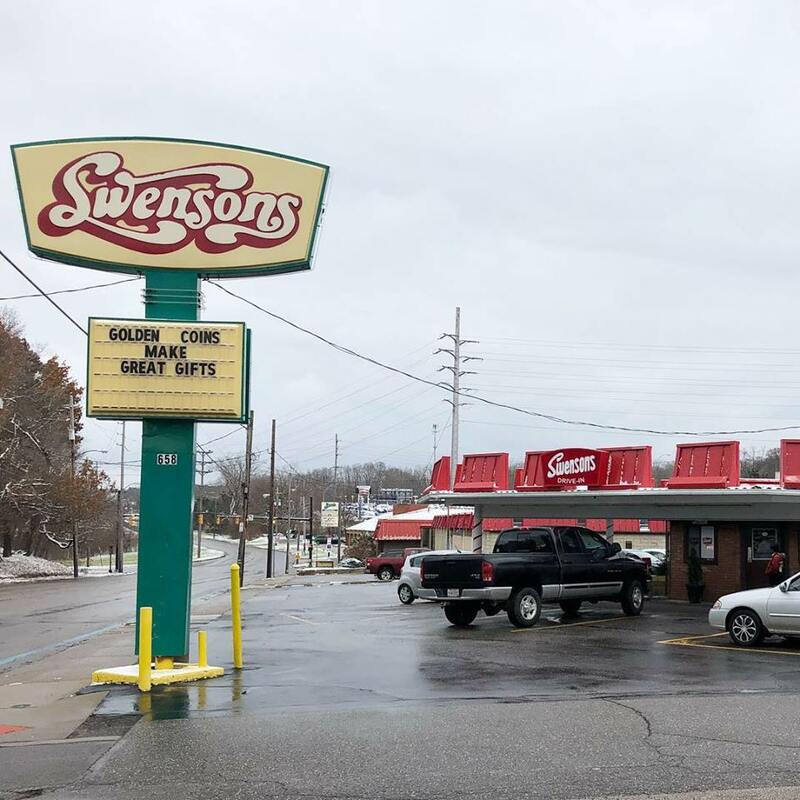 Swensons was founded in 1934 in Akron, Ohio, and since then it has grown to 10 locations in Northeast Ohio and two locations in the greater Columbus area. It surpasses modern day restaurants with its old-fashioned drive-in style, where “lights on for service” still applies. Your server then sprints to your car to take your order (they even run with your food on a tray, such talent!). You certainly won’t be disappointed in your experience. Here are a few recommendations based on my personal favorites off the menu. Of course you want to try the Galley Boy — as I said, it’s their signature hamburger. Although you can’t go wrong with a good ol’ Double Cheeseburger with everything on it, the flavor of the patty is just so delectable. Sides? Easy, try the Potato Teezers; they’re a crispy, slightly heated (jalapeno), cheesy fried potato bite. Who wouldn’t find comfort in that? I am also partial to their french fries, which are super fresh and go perfectly with a side of ranch for dipping. Swensons has three specialty fountain drinks: the California, Florida, and Ohio. The California (Grape flavored with a slice of lemon) is my all time fave and a must order every time. It is SO refreshing. Did I mention they have over 18 flavors of milkshakes? OVER 18!! I would be lying if I said I didn’t enjoy making the servers name off all their current flavors, every time I go. (A+ to my server today for not stumbling while he delightfully named them all, of course just so I could pick the very first one he said). 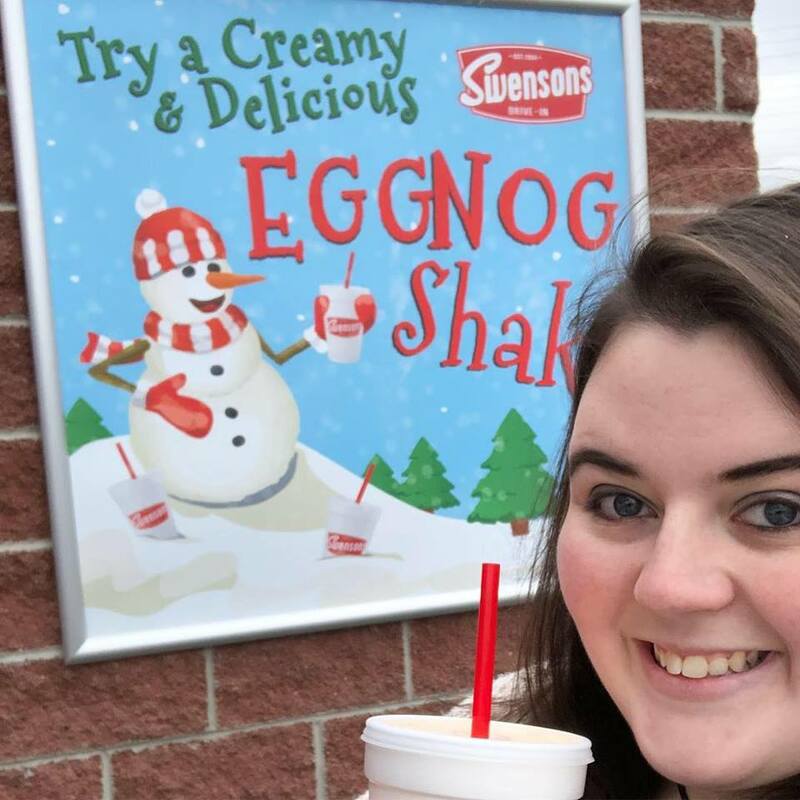 Today, I chose the seasonal Eggnog Shake! If you’re a parent, you know how we crave the convenience of anything that is “drive-thru.” This is a great opportunity to bypass the fast food and have a great family meal brought right to your window. 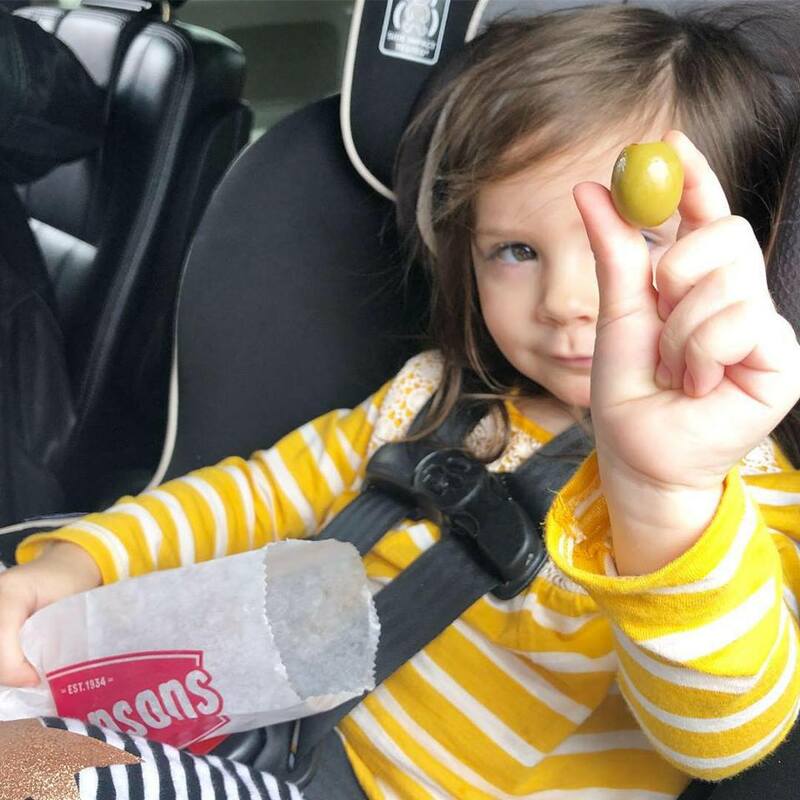 My daughter, Addison, who is almost three, loves going to the drive-in restaurant; she gets excited when she realizes we’re at the “green olive” drive-in. Of course, I make the sacrifice of giving my daughter my “Galley Boy” topping, the signature green olive. Is that a baggie of green olives that the super awesome runner brought her today?! Swensons is a warm reminder of where we came from, especially for me. Back in 1957, my Grandmother worked at a Drive-In (Freeway Drive-In | Oregon, Ohio) where she met a handsome guy in a pick-up truck who stole her heart, my Grandfather. 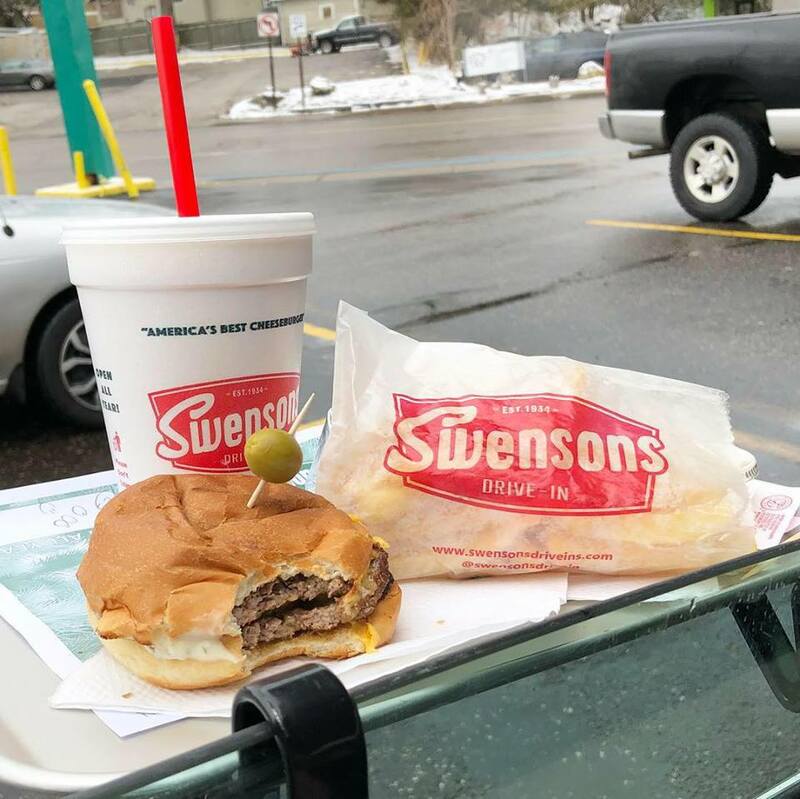 With all these personal recommendations, I can’t imagine it will take you long to venture to your nearest Swensons Drive-In and check it out for yourself! Thank you Swensons for inviting me as your guest to enjoy a day of comfort food!